Does not burn in the eyes or cause tears. 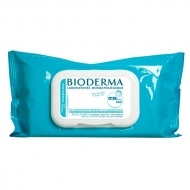 DESCRIPTION: ABCDerm Cold-Cream Crème Lavante from Bioderma is a gentle cleansing cream for baby face and body hygiene. 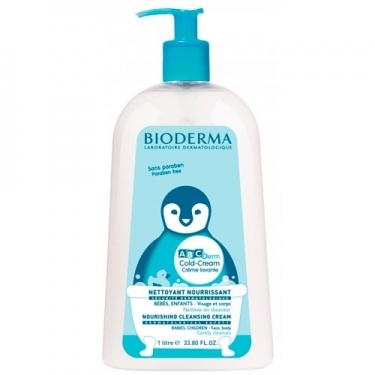 This soapless, nourishing care cleans gently and protects baby's and child's dry and delicate skin. Formula rich in essential fatty acids. Respects the physiological balance of the skin of infants and children, has an excellent tolerance (cutaneous and ocular) and safety. Purifying soft washable base and non-slip. It does not burn in the eyes. Without Parabens. No soap. Hypoallergenic. Delicate fragrance.